Indian agriculture has been in the news for all the wrong reasons. Despite ranking second in worldwide farm output, India still struggles to feed its 1.1 billion people. And millions of small farmers continue to live below the poverty line and many are committing suicide under the severe burden of debt. The reasons are manifold, but most importantly Indian agriculture suffers from several inefficiencies. Those inefficiencies range from over-reliance on monsoons whose failure to arrive leads to droughts, to corrupt middlemen taking huge cuts from farmer yields at market, to ineffective supply chains where up to a third of crop yields rot before reaching the market. Moved by the stories he heard from dozens of farmers during his summer fellowship with I-Farm Ventures in India, Bryan Lee, along with Arnav Saxena, co-founded Krishi Star (KS) to reduce rural poverty. KS has had an incredible journey so far with the successful completion of its pilot in June and acquisition of its first customers. I interviewed Bryan to get a handle on KS’s activities, progress, and future plans. (Full disclosure: I am an external consultant with KS). EJ: What inspired you to launch KS? BL: The inspirational moment occurred during my summer fellowship with I-Farm Ventures. I visited a lot of small farmers across North India and heard their stories. Although they had similar dreams and aspirations for their families like the rest of us they had lost all hope to achieve those. In fact, they felt that being a small farmer in India was like a curse. Also, as an MBA, I felt I could use my skills to help these farmers by creating a steady demand for their products, giving them a better control of the supply chain, and higher prices/margins for their produce. EJ: What is KS’s vision? BL: Our vision is to increase and stabilize incomes for small farmers in India by giving them greater ownership of the food value chain through farmer-owned processing units. We identify niche urban markets and provide the capital and operational expertise necessary to launch small scale processing units. Over time, farmers become full owners of these units. EJ: What have been some of the challenges of running a venture in India? BL: One big challenge was trying to understand the food processing business and actually create a product. We don’t have that specific background but learned a lot along the way and continue to do so. Language is still a bit of a challenge for me personally as the farmers we interact with don’t speak in English or even Hindi at times depending on the region in which we are working, which makes bringing on board local team members extremely important. EJ: What is KS’s business model? BL: Our business model reflects our vision and commitment to partnering with small farmers. 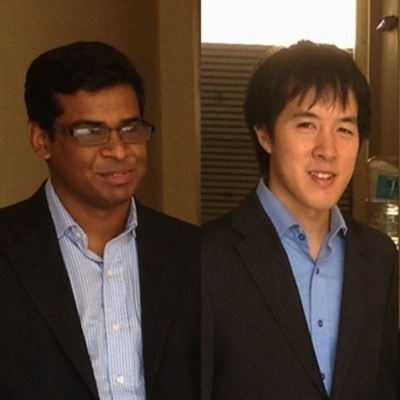 (Pictured: Arnav Saxena (left) and Bryan Lee). KS partners with farmer-owned entities called Producer Companies (PCs), which are wholly farmer-owned entities similar to cooperatives. KS and PCs partner to launch farmer-owned processing units. These units are financed in one of two ways depending on the resources of the PC. One model is the Joint Venture model in which both KS and the PC contribute capital and have equity ownership, and the second model is one in which KS works with the PC to secure bank financing. Once the processing unit is operational, it sources the tomato crops from farmers through the PC. After the unit has processed the crops into food products, KS markets the products to buyers in niche urban markets. 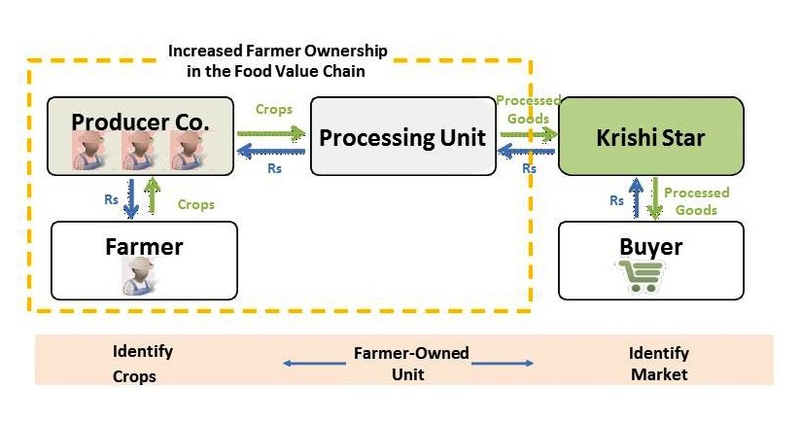 Finally, since farmers are co-owners of the unit, profit is shared with them as dividends. EJ: How does it aspire to create the desired social impact? BL: Farmers benefit from the KS model in two main ways. First, they receive a higher than market price for their crops in return for small changes in their harvesting patterns that achieve higher quality, per our requirements. Second, as co-owners of the processing unit, they receive a profit share. In both financing models, they will have 100 percent ownership in seven years. EJ: How easy/difficult was it to convince the farmers to come on board? BL: Well as I mentioned earlier, our aim is to partner directly with the farmers. The farmers were very receptive of this idea of partnering with us. But the Producer Companies, like investors, were a bit hesitant. They wanted us to first show that the product (peeled tomatoes) had a market and then only were they willing to commit themselves. So right now, we are working backwards. We procure tomatoes directly from the market. We spoke to the end customers first like chefs in restaurants in Mumbai. And we are using a third party processing unit that is based in Gujarat. The next batch will also use this third party processing unit but this time we are getting a handle on and managing the warehousing and rural logistics part. And in early 2014 when we launch our own manufacturing unit, we will partner directly with the farmers and manage the end-to-end supply chain from the farmers to end customers. EJ: Why did you start with tomatoes? BL: I met a group of farmers in March 2012. When I asked them which their least favorite crop was, they said tomatoes. And when I asked them what do they grow the most, the answer was again tomatoes! The problem with the tomato crop is that the farmers lack insight into market demand. And because of high variability in prices and lack of storage, farmers sometimes prefer to trash the tomatoes than sell at low prices. Tomatoes secure low prices and low margins for the farmers. So I thought that if the farmers were growing the tomato crop anyways, I could help them in creating value add by securing a steady demand for their crop, and create the desired social impact in lives of these farmers. EJ: How is KS funded? What challenges and funding opportunities have you come across? BL: We are funding our product development phase through bootstrapping, grants, and prize money won in business plan competitions. We are also an Unltd India investee. Funding continues to remain our main challenge. A pilot needs a certain amount of funding to become successful and investors will not invest until they see a successful pilot. This is a classic case of the ‘Pioneer Gap’ as defined by Monitor Deloitte. EJ: Why was Krishi Star chosen as the venture’s name? BL: The Company was first called Kisan First. We felt that we needed a unique name and decided on Krishi Star. Krishi means agriculture in Hindi. And for the star part, it meant ‘reaching for the stars’ or in programming language a star represents a wild card and it indicated the scale and scope that we hope to achieve. EJ: What is your long term vision with KS? 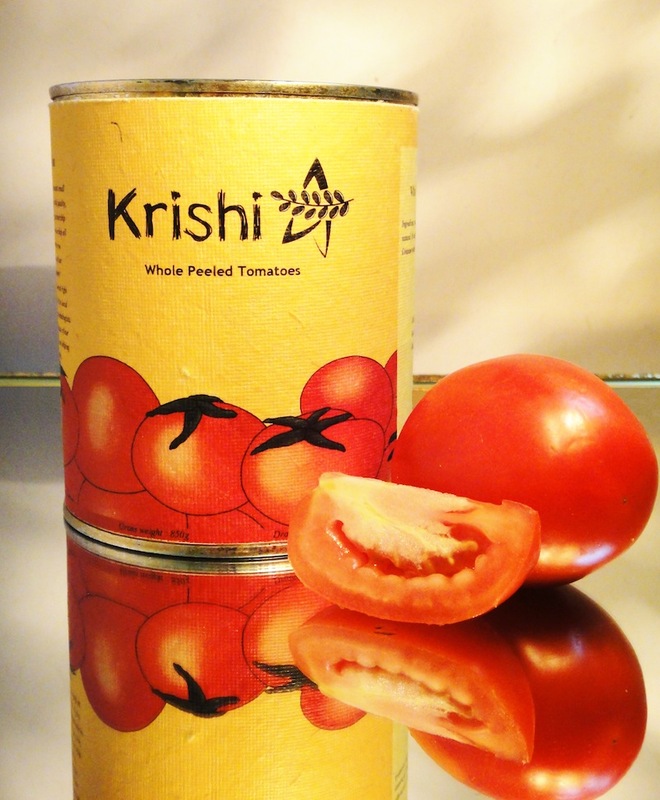 BL: While we are starting with peeled tomatoes, our long-term vision is to be a pan-India brand that represents farmer ownership in the economy. Once we have proven our impact model through tomatoes, we will expand to include other products, markets, and geographies. By that point, we will have a proven impact-model and expertise in product launch, marketing, and rural logistics. Ekta Jhaveri is a research associate for the William Davidson Institute’s Base of Pyramid initiative.